One of the highlights of the USNA Museum is the The Class of 1951 Gallery of Ships and The Rogers Ship Model Collection. 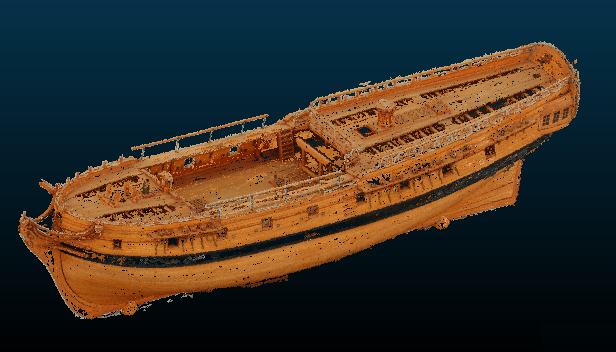 We have been working to creates virtual 3D models via photogrammetry (structure from motion) of USNA Museum ship models, continuing an independent research project by Midn McKenna class of 2016. 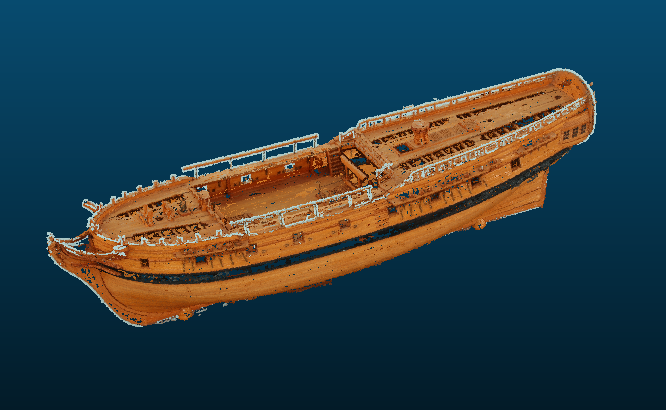 We hope to have models on the web to increase outreach of the collection, to document the current condition on the models, and to create accurate drawings of the models. View models online. This requires a computer with a moderately good graphics system; the standard issue USNA computer does not meet this requirement. Download models and view with other software. Both of the suggested options work with the standard issue USNA computer. HMS Greenwich; the model is from the 1699 rebuild. 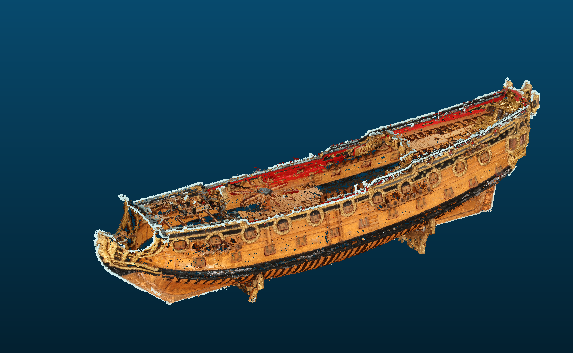 Swan digital model with the cyan fringe removed.